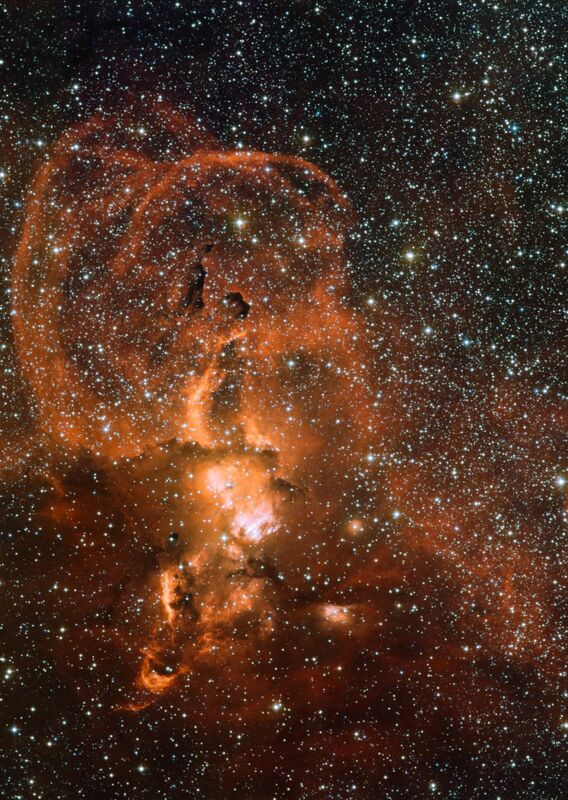 NGC 3582 is part of a large star-forming region in the Milky Way, called RCW 57. It lies close to the central plane of the Milky Way in the southern constellation of Carina (The Keel of Jason’s ship, the Argo). John Herschel first saw this complex region of glowing gas and dark dust clouds in 1834, during his stay in South Africa. Some of the stars forming in regions like NGC 3582 are much heavier than the Sun. These monster stars emit energy at prodigious rates and have very short lives that end in explosions as supernovae. The material ejected from these dramatic events creates bubbles in the surrounding gas and dust. This is the probable cause of the loops visible in this picture. This image was taken through multiple filters. 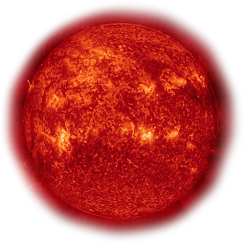 From the Wide Field Imager, data taken through a red filter are shown in green and red, and data taken through a filter that isolates the red glow characteristic of hydrogen are also shown in red. Additional infrared data from the Digitized Sky Survey are shown in blue.